Simon Schama brings Britain to life through its portraits, as seen in the five-part BBC series The Face of Britain and the major National Portrait Gallery exhibitionChurchill and his painter locked in a struggle of stares and glares; Gainsborough watching his daughters run after a butterfly; a black Othello in the nineteenth century; the poet-artist Rossetti trying to capture on canvas what he couldn't possess in life; a surgeon-artist making studies of wounded faces brought in from the Battle of the Somme; a naked John Lennon five hours before his death. In the age of the hasty glance and the selfie, Simon Schama has written a tour de force about the long exchange of looks from which British portraits have been made over the centuries: images of the modest and the mighty; of friends and lovers; heroes and working people. Each of them - the image-maker, the subject, and the rest of us who get to look at them - are brought unforgettably to life. Together they build into a collective picture of Britain, our past and our present, a look into the mirror of our identity at a moment when we are wondering just who we are. Combining his two great passions, British history and art history, for the first time, Schama's extraordinary storytelling reveals the truth behind the nation's most famous portrayals of power, love, fame, the self, and the people. 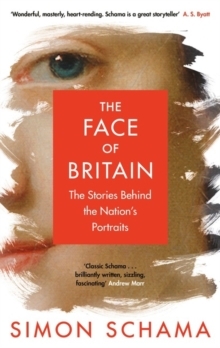 Mesmerising in its breadth and its panache, and beautifully illustrated, with more than 150 images from the National Portrait Gallery, The Face of Britain will change the way we see our past - and ourselves.